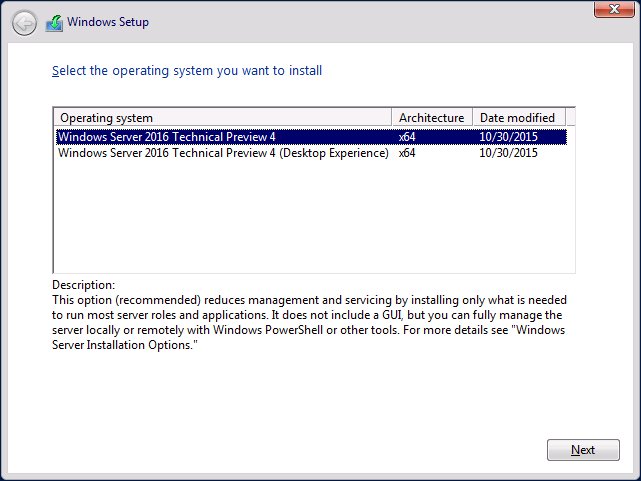 Today, the next version of the Windows Server Technical Preview was released (Technical Preview 4). Instead of repeating content that is the same as my Technical Preview 3 article, I thought I would focus specifically on what’s new/changed with this new technical preview. We still have the 2 installation options available, basically “Core” and “GUI”. 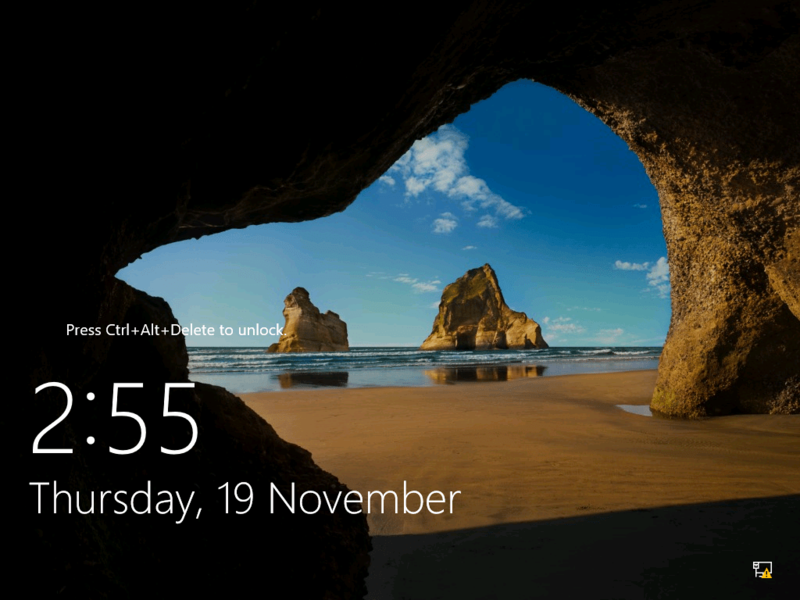 The lock screen definitely has that “Windows 10” style, complete with a background image. When we login, we see an updated “Windows 10” type interface (that is, with choosing the “Server with Desktop Experience” installation option. Notice the inclusion of the Search icon on the taskbar, as well as the Windows Store. Also notice how the Start menu includes the Live Tiles now included (just like Windows 10). The following is the list of server roles and features that I have observed as being new (in comparison to Windows Server 2016 TP3). I didn’t see any new Roles listed in comparison to my review of Technical Preview 3. I didn’t see any new Features listed in comparison to my review of Technical Preview 3. 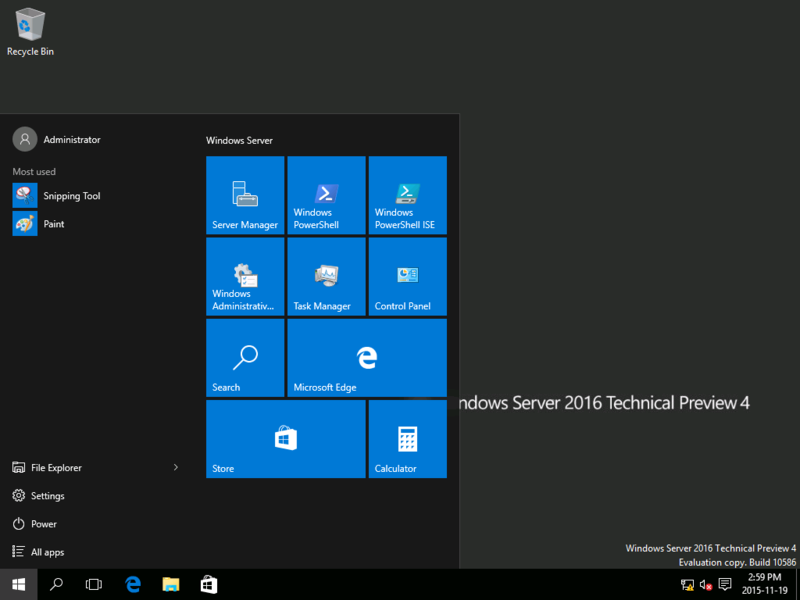 So those are some of the interesting changes thus far with the new Windows Server 2016 Technical Preview 4. If I’ve missed anything, please let me know and I will update this article.